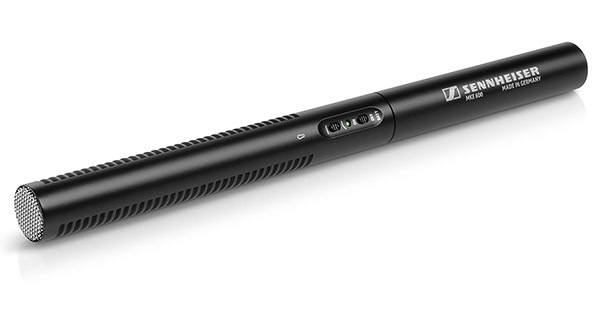 The Sennheiser MKE600 is designed with camcorders in mind, but can master common production sound challenges. Its high level of directivity ensures that it picks up sound from the camera direction while reliably attenuating unwanted sound coming from the sides and rear. Wind noise is reduced by the included foam windshield, while a switchable low-cut filter additionally minimizes wind and handling noise. An optional blimp (foam windshield/hairy cover combination) reduces wind noise even more effectively, making the MKE 600 the perfect choice for outdoor recordings. 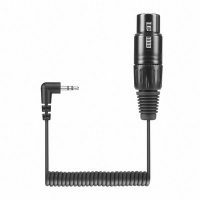 The Sennheiser MKE600 can be phantom powered or operated on an AA battery for about 150 hours.